We certainly have some, not on the streets as the Government would have us believe, but within their own ranks and in office running DWP. In around March 2011, the test relating to bending and kneeling was completely removed from the WCA. This has been in the pipeline for the best part of two years. For most people with a muscular-skeletal problem, this is usually the most difficult manoeuvre and so would attract most WCA points. What better way therefore to reduce points totals than to remove the test altogether. The “justification” is that years of H & S legislation has meant that bending and kneeling is no longer a significant feature of the modern workplace. You can argue this until you are blue in the face, but this is what the law now says. It is supposedly the view of the occupational health experts, but I have yet to find any research or empirical evidence that suggests this might be true, nor anything from the Government that measures the level of compliance. A rough analogy is with the 70 mph limit on the motorways – in place for years and despite fairly proactive policing, on the Government’s own admission, 50% motorists ignore it. I do not know why they think compliance here would be any better and with less active policing, probably much worse. Then there is the question of mobility. The first test used to be about walking, now referred to as “mobilisation” (slightly odd as the word is more to do with preparing to move than actually moving). This in itself is ok and better accommodates anyone in a wheelchair who can get about just as well as anyone walking. However, the Government (not Atos and not the DWP civil servants) have placed an interesting twist on this. You will now be judged not just on the distance you can walk (without exhaustion & pain free etc) on level ground, but whether you could cover the distance in a wheelchair WHETHER YOU ALREADY USE ONE OR NOT. Atos HCPs are told in the WCA Manual (sanctioned by DWP) that they must make this consideration and that self-propelled wheelchairs are in ample supply. So be very careful how you answer questions about upper body strength, as this is what they have in mind. State quite clearly that you could not manage to propel a wheelchair, or they will assume you can. In my WCA, we talked about making a cup of tea and in the absence of any indication to the contrary, the HCP concluded that there was no reason I should not be able to self-propel a wheelchair more than 200m = zero points. There was absolutely no specific discussion about the possibility – how dishonest can you be??? If this was not deceitful enough, it gets worse. The next test is about getting up and down two steps and (like me) you may have said on your ESA50 questionnaire that this is something you could manage, so zero points. 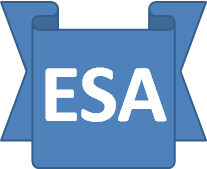 However, the situation has changed, because I have now been consigned to a wheelchair as described above, so would accrue some points here you would think – but no, on the basis of what I said on the ESA50. So the full scenario that goes alongside zero points for both is that you cover the flat surfaces in your wheelchair, but when you reach the two steps, you hop out and walk down them and get back in the wheelchair. But hang on, the wheelchair is still at the top of the steps . . . . . . . . .
Decision Makers have been told to ignore this broken logic, so little point in shouting at them. Nor is it worth asking for an opinion, as they will not give one. I am sure there will be other equally dishonest and unfair clauses in the legislation that I have just not come across and the only answer lies with parliament, so lobby your MP as loudly as you can as often as you can. Good blog! I couldn't agree more with all of your posts that I've read so far. One has to wonder whether it's incompetence (shoddy system devised by ATOS just to get their hands an a cool hundred million of taxpayers money every year) or outright dishonesty. I have chronic fatigue/M.E. and was found capable of work twice (once while claiming IB, then again before my appeal for that one when I had to claim ESA) and fortunately had my IB reinstated on appeal. I've no idea how I passed my 12 month IB review assessment. The ridiculous part of my experience with the ATOS gestapo is that I am doing my darnedest to improve my situation - Graded Exercise Therapy to improve my energy levels, and I'm also doing 4 hours of voluntary work per week to try to improve my mental energy (CFS/ME causes mental as well as physical fatigue), yet I was flat out told by my job centre advisor (a great guy who treats me like a human being) to not mention any of that, as it'd all just be taken as evidence that I'm fit for work, in their blinkered yes/no system! I wrote to Iain Duncan Smith shortly after he was appointed Secretary for Work & Pensions, highlighting the many failures of the system as it stands, only to receive a standard letter from a flunky describing to me how the system works. Or how they think it works in the la-la land they inhabit. Anyway, I just wanted you to know that someone is reading this & agreeing wholeheartedly. The more voices there are decrying this sham of a benefits system, and the current trend of victimising & blaming the ill and poor, the better. I do like the final quote D&K. I know what you mean - incompetence or down and outright nastiness - with ID-S & Chris Grayling, definitely the latter. There is a wonderful German phrase”Arbeit Macht Frei” which simply means “work liberates”, which sums up ID-S’s philosophy perfectly. The German phrase is however best known for the fact that it appeared over the entrance to Auschwitz and a few other similar sites, so it not too popular with the Tories and best used sparingly. I only gave up all semblances of sympathy and benefit-of-the-doubt relatively recently. Although many of the DWP staff you come into contact with are not responsible for much of this, if they are the customer-facing part of DWP they know what to expect a lot of the time. It is quite possible to be insistent, persistent and firm without being rude or too vitriolic - much the same with the Atos “Customer Service” staff. If you can get your MP’s ear, worth a try – there are certain things they have to pursue for their constituents. Mine unfortunately is a staunch Tory, but has to pass certain things on nevertheless. I’ve blogged odd things I’ve used and not a week passes where I don’t email him at least once about some aspect of all of this. Largely pointless I know, but you kind of have to do what you can . . . Vested interest in highly pervasive regrettably.